The future of science is in good hands as evidenced by the projects on show at the annual Oakland Community College Scifest competition that was held on Tuesday the 12th of March in the school. A total of 82 Transition Year students showed off 31 projects in a vast array of areas including sport, beauty, food and social sciences. In an atmosphere buzzing with excitement, students proudly displayed the hard work and time they put in over the last few months and expertly outlined their projects to the judges. 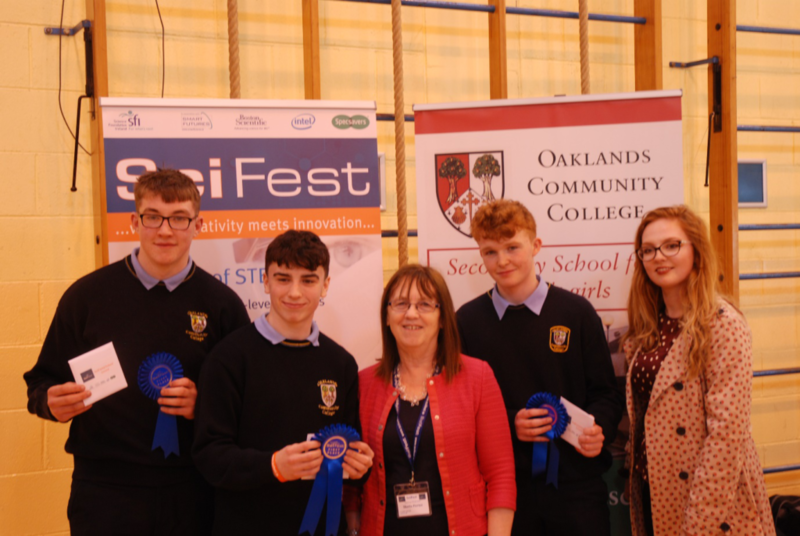 Oaklands was delighted to welcome Sheila Porter, founder of Scifest, who was part of the judging panel along with Billy Hanlon from First Aid Ireland. The judging panel also consisted of past and present teachers, past pupils who have gone on to pursue careers in science, as well as some current 5th year students (some of whom were part of our team at NASA earlier this year). 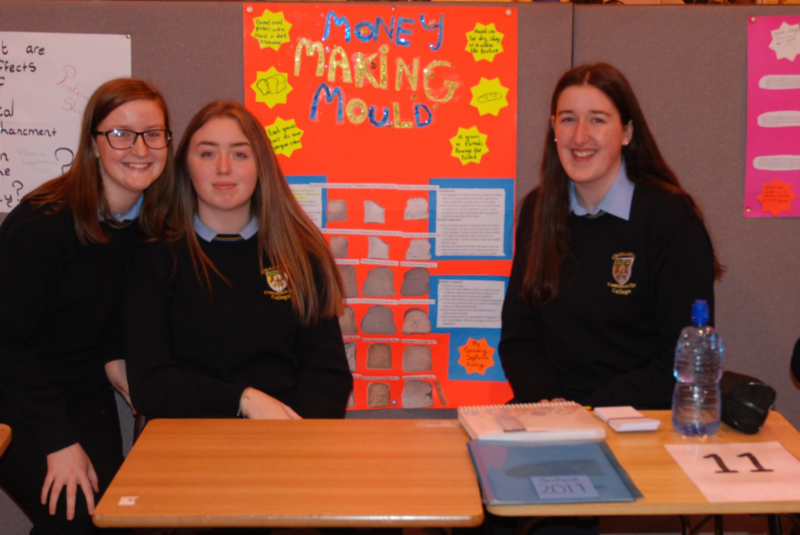 Transition Year students also got to show off their projects to over 150 students from Scoil Bhride, Edenderry Boys National School and St. Mary’s Primary School. The competition was won by Donie Staunton, Darragh Farrell and Luke Spollen with their investigation titled “Should the high tackle rule in rugby be more severe?” Second Place was awarded to Amber Curry and Ciara Johns for their project “Are over the counter drugs creating more drug addicts in society”. An award for Best Speaker was also given to Tom Mangan for his impressive communication about the project he worked on in conjunction with Joe McBride and Ben Smullen. Their project was titled “Effects of different fertilisers on grass”. The judges were hugely impressed by the standard and diversity of projects on show and an enjoyable day was had by all.